239 candidates submit nominations for 14 constituencies of provincial assembly. Nazim, naib nazim among them. 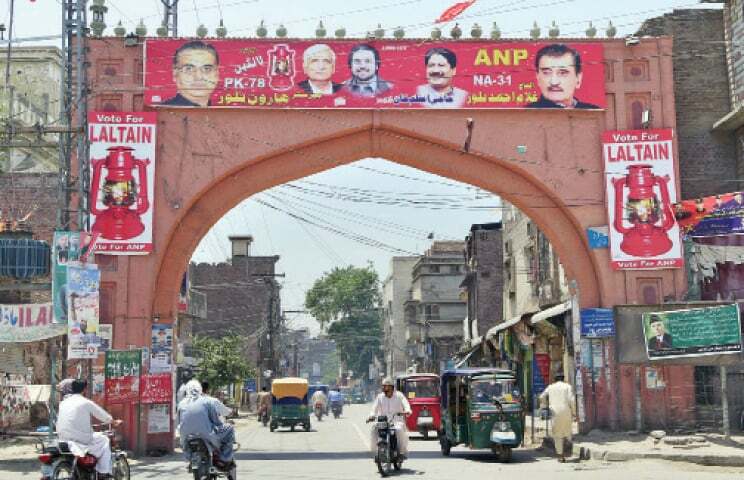 Move seeks to give tough time to PTI on provincial seats. Says nikah forms are less extensive than the nomination forms. 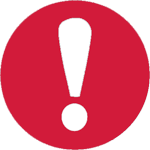 Preliminary list of candidates issued. The new provincial ministers vow to hold general elections 2018 in the province in a free, fair and peaceful manner. 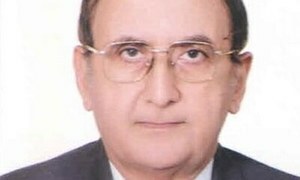 Prof Hassan Askari's cabinet for Punjab criticised for 'shamefully' ignoring women in the interim govt. 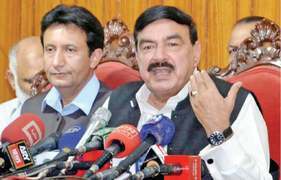 PML-N's Darshan Lal first priority on party's seven-member list. 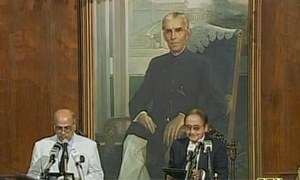 PML-N submits 27 names, PTI, 18 and the PPP, 13. PP-120's Sardar Khawar's supporters protest over issuance of ticket for Chaudhry Sarwar's brother. Conflict caused by their differences with Gujrat mayor. Infighting in PTI Sahiwal leaders leads to aspirants denied tickets submitting papers as independents. 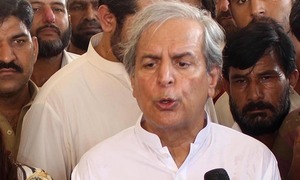 Hashmi files for NA-155, NA-158, against Yousuf Raza Gilani, 3 PML-N candidates and PTI's Amir Dogar. 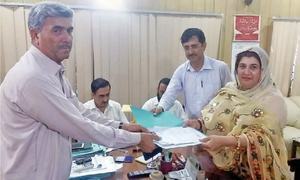 Both PML-Q leaders have filed papers for Bahawalpur's NA-172 constituency. None of the ‘engineering’ would have succeeded without the accompanying social and political changes. 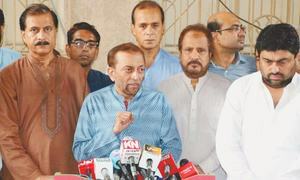 MQM's Siddiqui will also contest for PS-38. 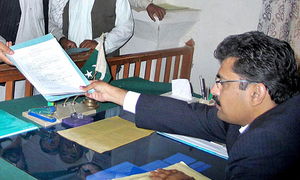 Zulfikar Mirza files papers for NA-229 and PS-74. 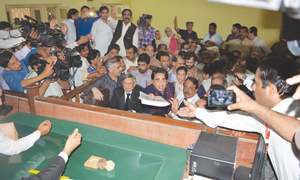 Khalid Maqbool Siddiqui says court recognised him as MQM leader. 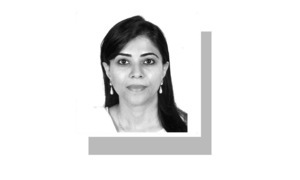 PTI's Asma Rizvi, despite token system at office, didn't wait turn and tried to enter forcibly by "pushing the guard". 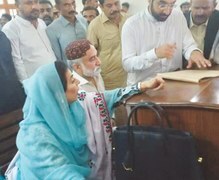 Bilawal and Aseefa file papers for NA-200 Larkana-I seat. The two parties say efforts are being made to form a similar alliance in other areas of the province. 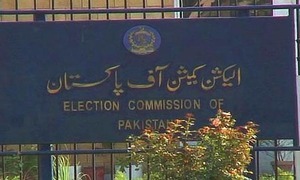 Provincial election commissioner says 651 people filed their papers for 51 general seats of the Balochistan Assembly. 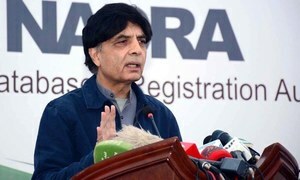 Particulars of 12,000 candidates were sent to NAB and other institutions, out of which 7,500 have been verified. Ex-minister to fight polls as independent candidate. 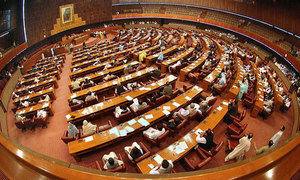 PTI, MMA submit 10 names each for as many reserved seats, while PML-N submits seven. 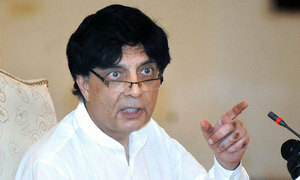 "These Sharifs will not able to show their faces anywhere if I decide to spill the beans," cautions Nisar. 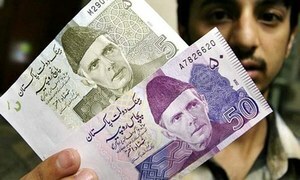 Rupee slumps 3.8 per cent against the dollar in what appears to be the third devaluation in seven months. 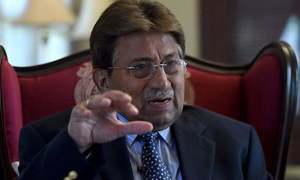 The papers were submitted by the former president's lawyer and APML party leaders. 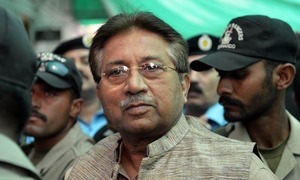 Orders formation of tribunal within two days to hear pending treason trial against former military ruler. These editorials identify key challenges political parties need to address in their new manifestos for the 2018 polls.